Uber is planning to take its business to the skies. Literally. The company has released a whitepaper today — drumroll please — in which it talked about flooding the skies with a fleet of fully electric, aircrafts. While many of you may ridicule the company’s plans as too far fetched, Uber is very serious. However, rather then delving into the technical details, the plan focuses more upon what such a network could achieve. The company has christened the yet to come network as “Elevate”, which is a rather apt name for a fleet of taxis that can fly. 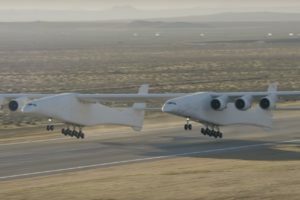 The aircrafts will be equipped with the capacity to take off and land vertically and according to Uber, will be able to traverse the distance between San Francisco and Silicon Valley in as little as 15 minutes. The whitepaper also outlines all the major issues that are keeping flying cars from becoming a reality at present. According to Uber Chief Product Officer Jeff Holden, flying cars are ridiculously expensive to produce at present, despite technologies that are similar to those deployed in automobiles. Indeed, these vehicles can cost as much as 20 times to produce as compared to your normal car. However, Holden believes that by increasing the volume of the vertical take-off and landing (VTOL) crafts, we can potentially bring the costs to level. The whitepaper is pretty optimistic about the costs and says that even the initial rides will cost about the same as say, taking an Uber X to work. While that does seem too good to be true, we will have to take Uber’s word for now. Meanwhile, you can not expect this technology to roll out tomorrow, or the day after either. From getting a prototype that is able to navigate the skies safely, to getting approval from FAA and a load of other regulatory bodies, to setting up the whole infrastructure in place from scratch — there is really a huge amount of headache going to be involved in the process. And Uber is going to have to jump a lot of hoops before it can hope to get one of its cabs airborne. However, Uber believes it can get there. And so do a lot of other mega corporations. Airbus for example, recently unveiled the design of its “Vahana” autonomous flying vehicle. So yes, interest in the field in certainly surging and from “if”, flying cars have now become more a question of “when”.